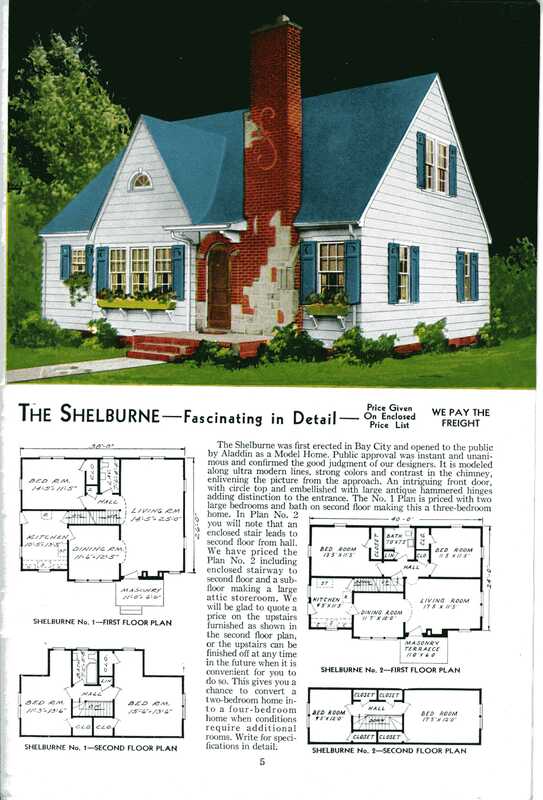 Competing with other kit home builders in the first quarter of the 20th century, Sears offered an assortment of homes that had appeal to a broad spectrum of home buyers. Small bungalows, large farmhouses, four squares, and lightly decorated Queen Anne styles provided something for nearly everyone. All were available by order from the catalog to be delivered to the buyer's local railroad depot. All parts and materials were included in their kit houses. All the new owner needed to do was assemble his team of carpenters and someone to haul it to the prepared home site. Below we have a slide show of the entire 1916 Sears house catalog. You can stop, start, and make it larger or smaller. To the left we have links to images of the houseplans that do not require the flash plug-in.